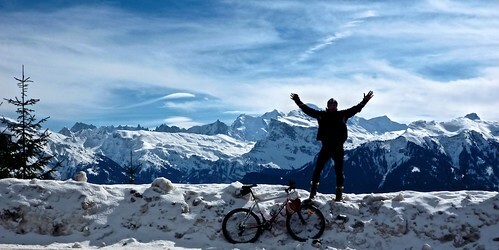 Surprisingly, when the winter weather isn't too crazy, the road is open on the famous side. 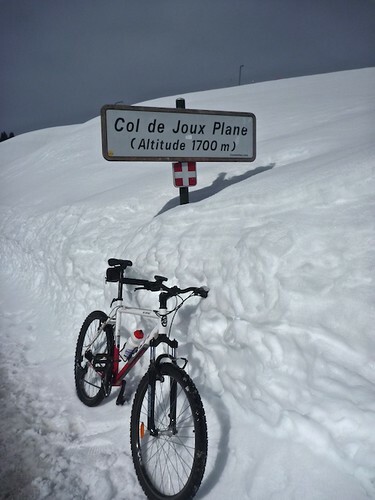 Col de Joux Plane is one of the most famous Tour de France climbs in the north French alps. 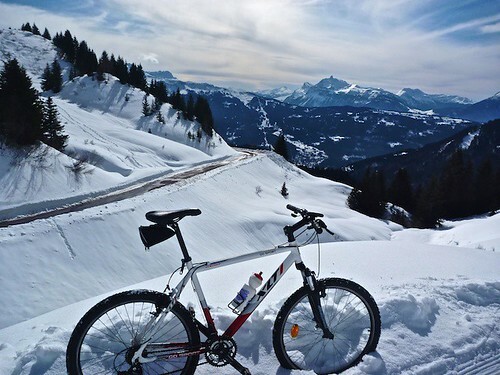 Surprisingly, when the winter weather isn’t too crazy, the road is open on the famous side to get to some cross country skiing trails (the side from Morzine is closed). 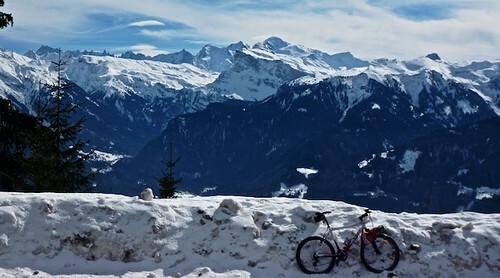 It’s been a cold and snowy winter, but currently it is very, very warm and the snow is starting to melt everywhere. I had my mountain bike, winter boots and two more layers than I needed. I must have sweat a couple of gallons. 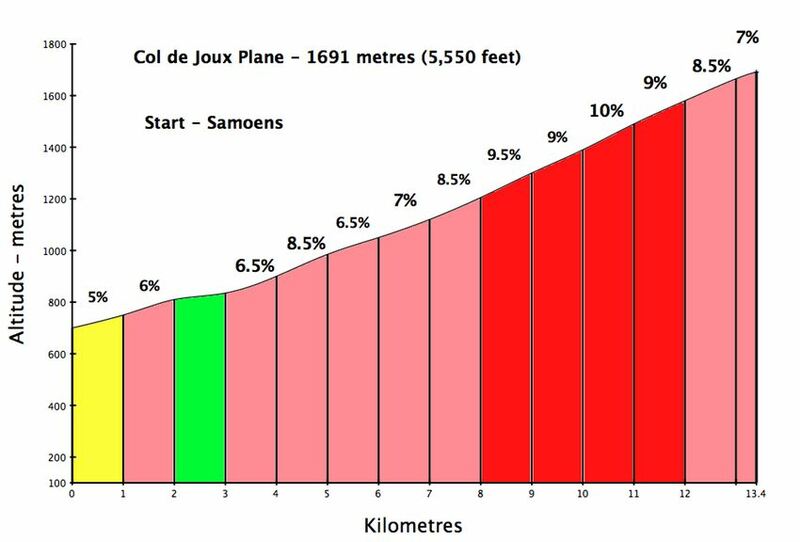 I’ve written about Joux Plane several times, but simply put: It is steep and irregular – very hard to get a rhythm. But it’s a beautiful climb. For a couple of beautiful and challenging loops that include Col de Joux Plane see here (140 kms) or here (71 kms) – both are fine for road bikes in summer. La vidéo est excellente, comme d’habitude ! 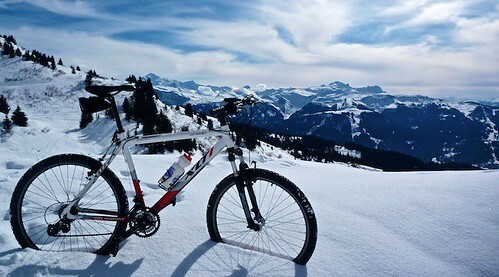 Avec ce soleil, on en oublierais presque que la descente doit être très très froide…. Wow Will, apologies as I’m not actually commenting on the post in particular but just wanted to let you know how great the site looks. I’ve been looking at layouts and design templates for my (fairly new) photography blog – Megapicsell – and found one on which you’d left a comment saying you were going to try out the MIMBO 2.0. It looks great on your site and has inspired me!